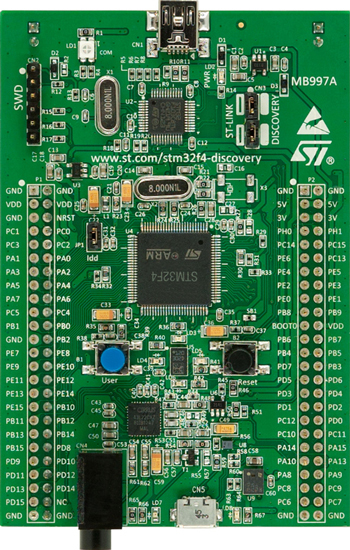 STM32F4DISCOVERY Discovery kit has up to 6 UARTs. The Zephyr console output is assigned to UART2. Default settings are 115200 8N1.